Carlin Porch erie, pa usa the client's approached seDURST with two objective's. first, they aspired to have a porch to sit out on to catch the cool lake summer breeze, and second, a much needed desire to add some life and character to this humble facade. during the week and a half interactive design process, we quickly bounced 3d images, sketches, and correspondences to ensure the client's dreams were met. we then came to the foolhardy conclusion that a bold statement must be made! while the bold statement has indeed made, we have paid much respect to the existing house by matching all existing materials. 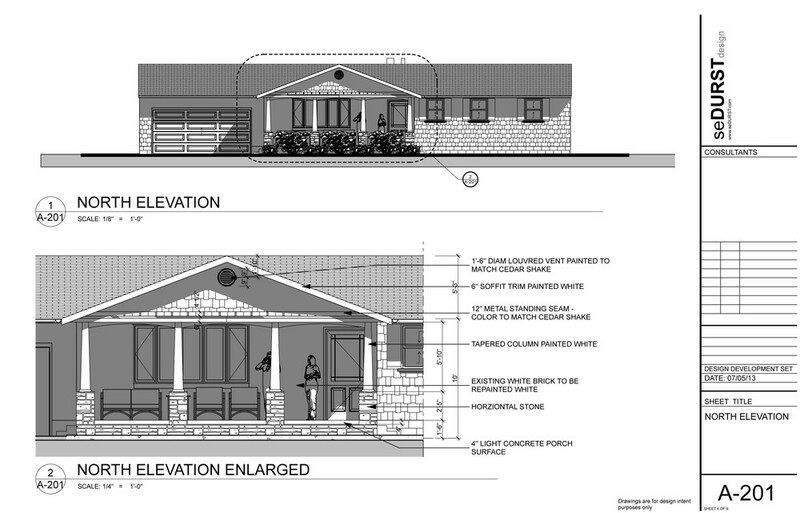 the front porch received planning permission in july of 2013, and will begin construction in august.